A selection of aerial images, generally of industrial areas or depots, but also other architectural aspects like churches – any good shot taken from the air, really. All of these pictures are taken flying with the same pilot in light aircraft, variants of the Cessna single engine design. This shows an aerial shot of Bridlington's Bay, in East Riding of Yorkshire, UK. 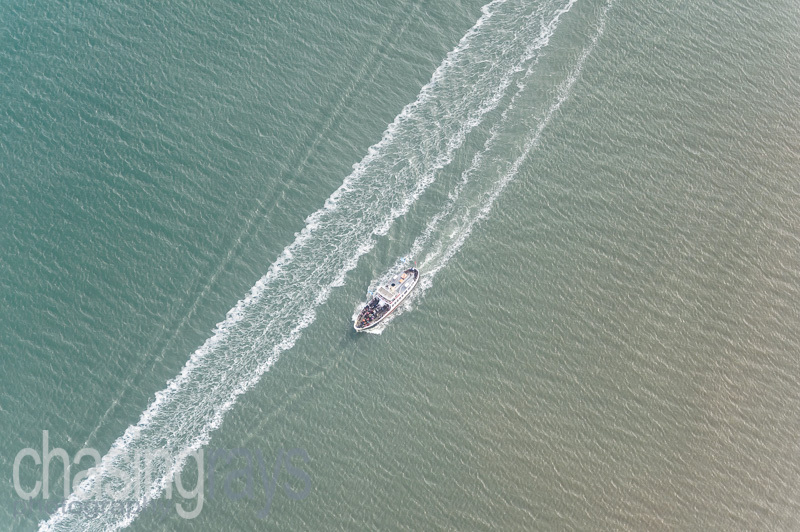 The first wake, running all the way through the photograph, was made by a small power boat, several of which were buzzing around the boat in the image. 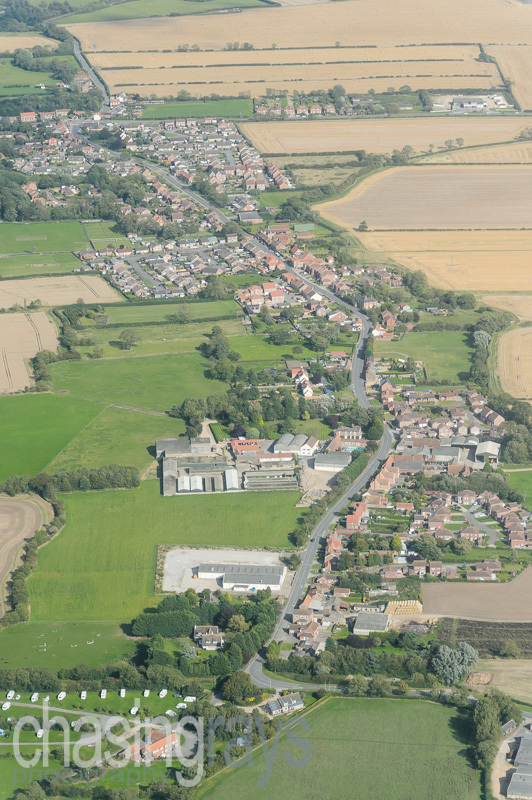 This shows an aerial shot of the village of Beeford, East Riding of Yorkshire, UK. The view looks almost directly west-to-east and was taken from a Cessna 172, a high-wing private aircraft with good all-round visibility for photography. 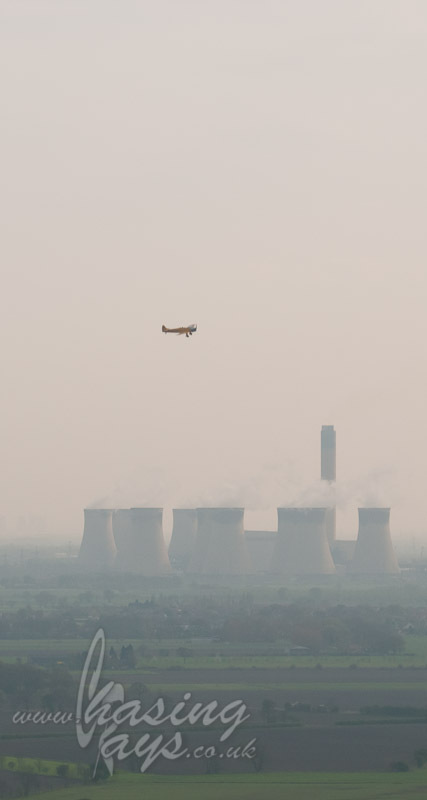 An aerial view of the power stations when returning from the industrial works along the Hull estuary, as we turned to Breighton airfield on finals. The wind and weather had made for a quite miserable day, but added to the general gloomy feel of this image. 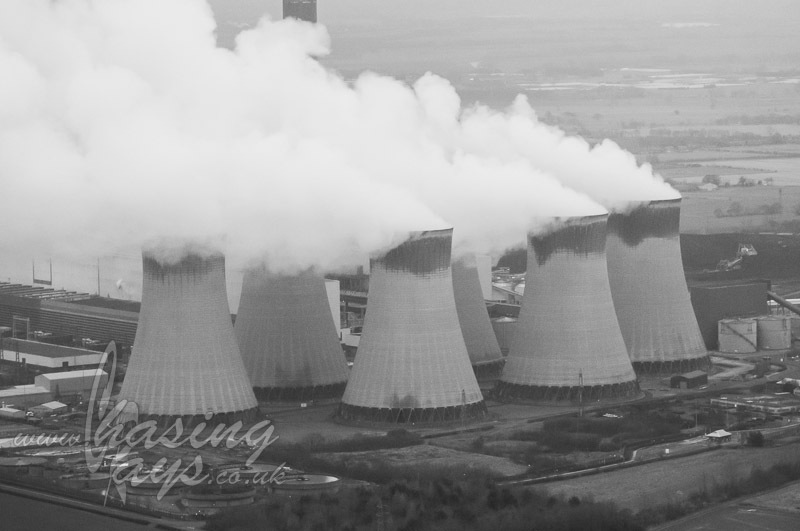 This is another of my aerial shots over powerstations in the Breighton area. Again, this was a shot I took as we came in to land, and I just loved the sense of scale the small aeroplane proved in front of the station itself, as well as the hazy look to the atmosphere at sunset. This image was part of the display used by the winning team in a competition run by NPower.